The town's fish market is a hive of activity where fresh produce is sold and Bajau woman display their handicraft of multi-coloured mats, hats and baskets. The Tawau Hill Park is another nature sanctuary located nearby which offers some stunning views, a swimming and picnicking area and a hot spring. The new Central Market on Jalan Dunlop near the harbour is renowned for prawns and fish. An interesting Street Market is held every Sunday morning on the corner of Jalan Apas and Jalan Kuhara. The open-air night stalls opposite the Sabindo Shopping Complex on Jalan Chen Fook is also another favourite. 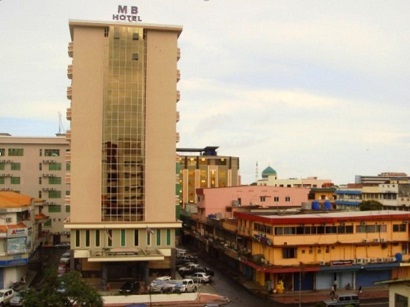 Whether you're a tourist or traveling on business, MB Hotel is a great choice for accommodation when visiting Tawau. 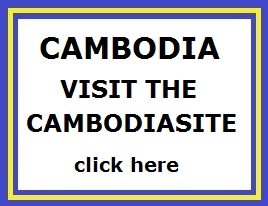 The hotel is not too far from the city center: just 0 KM away, and it normally takes about 45 minutes to reach the airport. Visitors to the hotel can take pleasure in touring the city's top attractions: Pasar Tanjung, Tawau Airport, Teck Guan Cocoa Museum. MB Hotel also offers many facilities to enrich your stay in Tawau. Top features of the hotel include free Wi-Fi in all rooms, 24-hour security, daily housekeeping, taxi service, 24-hour front desk. The hotel features 122 beautifully appointed guest rooms, many of which include television LCD/plasma screen, complimentary tea, sewing kit, slippers, sofa. Besides, the hotel's host of recreational offerings ensures you have plenty to do during your stay. Whatever your reason for visiting Tawau, the MB Hotel is the perfect venue for an exhilarating and exciting break away. 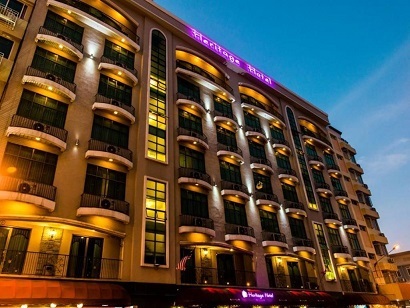 Designed for both business and leisure travel, Shervinton Executive Boutique Hotel is ideally situated in Bandar Tawau; one of the city's most popular locales. Only 1 km from the city center, the hotel's strategic location ensures that guests can quickly and easily reach many local points of interest. For sightseeing options and local attractions, one need not look far as the hotel enjoys close proximity to Pasar Tanjung, Tawau Airport, Teck Guan Cocoa Museum. Offering hotel guests superior services and a broad range of amenities, Shervinton Executive Boutique Hotel is committed to ensuring that your stay is as comfortable as possible. Top features of the hotel include free Wi-Fi in all rooms, 24-hour security, daily housekeeping, taxi service, 24-hour front desk. Hotel accommodations have been carefully appointed to the highest degree of comfort and convenience. In some of the rooms, guests can find television LCD/plasma screen, complimentary instant coffee, complimentary tea, free welcome drink, mirror. The hotel's recreational facilities, which include dart board, sauna, spa, massage are designed for escape and relaxation. 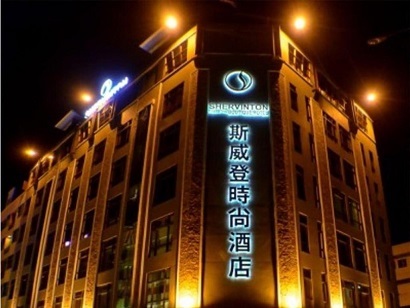 Whatever your purpose of visit, Shervinton Executive Boutique Hotel is an excellent choice for your stay in Tawau. 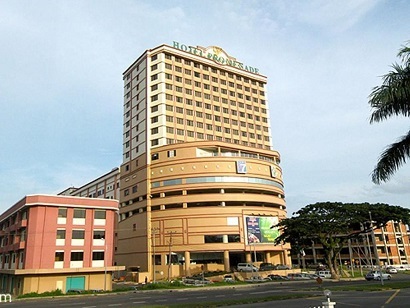 Designed for both business and leisure travel, Marco Polo Hotel - Tawau is ideally situated in Bandar Tawau; one of the city's most popular locales. The hotel is not too far from the city center: just 0 KM away, and it normally takes about 35 minutes to reach the airport. With its convenient location, the hotel offers easy access to the city's must-see destinations. 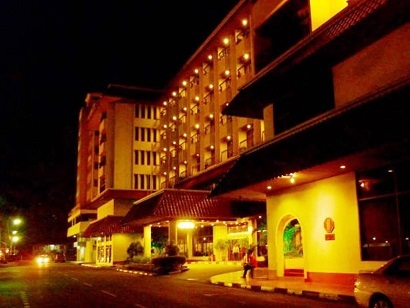 Take advantage of a wealth of unrivaled services and amenities at this Tawau hotel. This hotel offers numerous on-site facilities to satisfy even the most discerning guest. The hotel features 150 beautifully appointed guest rooms, many of which include television LCD/plasma screen, internet access � wireless (complimentary), non smoking rooms, air conditioning, desk. The hotel's garden are ideal places to relax and unwind after a busy day. When you are looking for comfortable and convenient accommodations in Tawau, make Marco Polo Hotel - Tawau your home away from home.